Things aren’t looking too good for the Chevrolet Cruze. Demand has never recovered from the recession era and the Lordstown, Ohio, assembly plant has moved to just a single shift to build the compact car in the United States. Analysts have already begun expecting the worst for the Cruze. As formidable a small car the Cruze is, the car has done its part. The nameplate showed GM could build a competitive small car, and it was the right vehicle at the right time in the early 2010s. These days, it’s not. Electrification garners buzz and the masses flock to crossovers, SUVs and trucks. It’s time for the Cruze to die. But I don’t believe the Cruze should soldier into the automotive graveyard without a successor. No, in fact, GM and Chevrolet already build a far superior compact car. It’s called the Chevrolet Volt. The two ride on the same D2XX architecture, which makes the Volt closely related to its internal-combustion-engine bearing cousin. 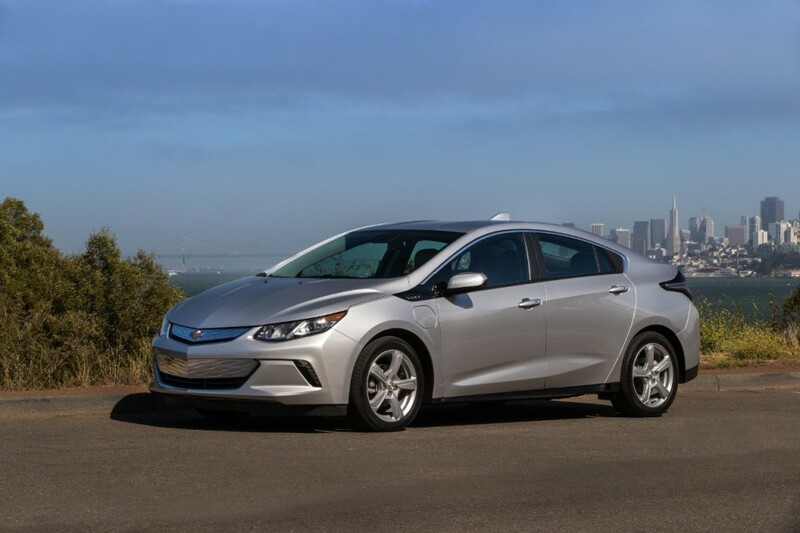 I’ve driven both the second-generation Volt and Cruze; the Volt is far superior in day-to-day usability, comfort and, of course, the Volt shames the Cruze in the fuel economy department. GM has bet the farm on electrification in the future, and if it wants to truly play in the space, the automaker should put its money where its mouth is. I’m well aware the Volt is a pricier alternative to the Cruze sedan, but how about this: a range of Volts. Hyundai already caught on and offers three flavors of its Volt-rivaling Ioniq. There’s a regular hybrid, a plug-in hybrid and a battery-electric Ioniq—a car to suit any buyer. The least expensive of the trio—the Ioniq Hybrid—starts at $21,700. That’s thousands more than the Cruze’s base price, but if the situation is as bleak as it seems, the Cruze is already a losing proposition. 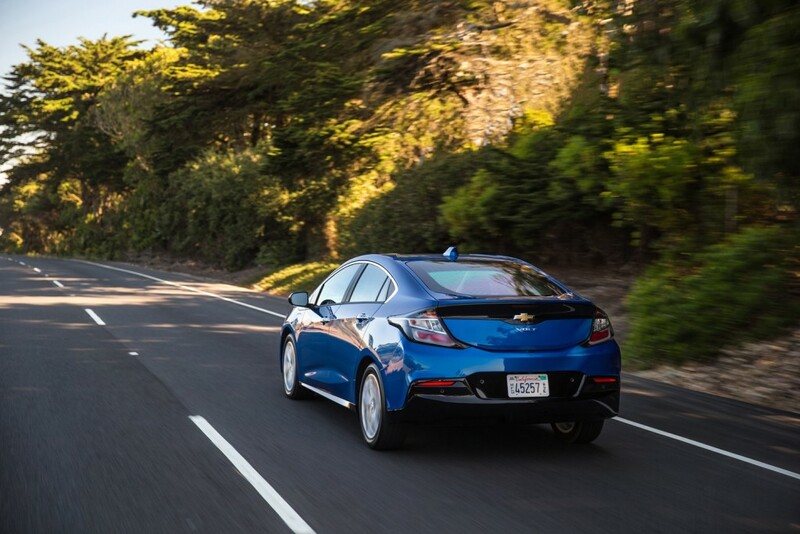 GM might as well score some well-deserved PR points with a lineup of greener compact vehicles. And there’d even be room for our proposed “VoltCross” plug-in crossover SUV in our imaginative Volt portfolio. Unless the American car buying public has a small-car epiphany, the Cruze will never rise to the occasion as it did years ago. It’s not a bad a car, and it’s a shame it’s overlooked for sub-compact crossovers. And that’s the point. If the Cruze is going to be a lame duck in the sales race, why not—to borrow a phrase from elsewhere inside GM—”dare greatly” and cement itself as a leader in electrification before Korea and Europe do it first. They ruined the Cruze. That’s reason #1 it’s sales took a nosedive. The first gen looked like a sporty little BMW. Exactly what American’s (and this Chevrolet guy) loved. All it needed was a nicer front end and interior upgrade. This new model looks like a really bad early Hyundai. It’s just an ugly car. And they never promote the Volt. It’s been out a long time and so few even know about it. So if they did stick it out with one or the other, I really don’t know which one? Chevrolet hasn’t done themselves any favors here… I do agree with you though, the Volt is a far nicer car. The interior quality alone is nicer than most anything Chevrolet builds and Chevy has a hard time with interiors. They could build upon the Volt line easier IMO than the Cruze but both are an uphill climb now. Bingo. GM’s styling has been atrocious lately and it’s obviously losing sales. Is this the result of them having lost talent when they went bankrupt? Hard to understand what else would cause them to go ugly. Do like Honda did with the Civic, Insight, Clarity. They share just about everything but a few exterior pieces and drivetrain. Kill the Cruze, and Keep the Sonic. Make the sonic an all electric car, to make it more sporty. It’s the perfect size for it. The Sonic is a way better looking vehicle than the Cruze. Sonic is for slushes and shakes at happy hour between 2 and 4pm and 8 and 10 pm. This is not a car. You don’t buy a new Sonic you buy a used Honda Accord or Civic for the same price. Why can’t we have a choice like Honda does with the Civic/Insight and Clarity? All on one platform offer a choice of gas/hybrid or electric. This way they won’t be replacing a vehicle that can be purchased for less than 20k to one that will cost well over 30 as the only compact choice. I won’t even go into all the issues the current Cruze has and do not believe in an all electric future. How come other manufacturers do just fine selling cars almost exclusively? Honda, Toyota, VW, Audi, etc. I think the real reason for the switch is there is just so much more profit to be made on behemoth, low tech, truck based things and all available factory capacity will be used for that. Until the next down turn in the economy, that is. And are there not enough GM customers who want an efficient commuter car, or a car for the kid for college? Killing the Cruze would be a bad move, there are still young buyers who would be more likely move up to a GM truck or sports car someday who might be lost if they get started on something Japanese or German. Actually the others are declining in sales Toyota is down as well Honda. The Accord alone is down 10 straight month. The public has chosen taller and more versital the CUV that is not truck based but car based. Note the Nox and Trax are car based. The car is a dying market as they get smaller they are less useful. Many struggle to carry 4 people and little fits in the trunk. Add a hatch and sales remain flat. People today are into getting utility and more useful action from their vehicles. Years ago a. Chevelle was a family sedan and even a truck as it had a large trunk and could carry sheets of plywood on the roof. Today that plywood would destroy the roof and the trunk will not accept a item in a box more than 16” tall. Peoples wants and needs have changed. GM now has several efficient CUV models that can do it all. They sit high like many customers want and men are ok to be seen in them vs a mini van. GM has moved to the market not away from it. Do not mistake the leading for once. As for the Volt make it a useful CUV and it will sell. Might not be much profit yet but it will come as cost come down on the systems in the car. The like like our troll here likes to spread is people are going only for the Yahoe and Yukon. The truth is most are moving to the fwd based car models that get about the same mpg as the cars. Higher gas prices mean little in buying patterns with these smaller more efficient models. Even my Acadi V6 gets 21mpg in town about what my Malibu gets and with much more room and utility with AWD. You people must have a lot of money. There are many people who need a nice cheaper vehicle. The price of electrification is too expensive. You also can’t get a crossover at that price. Ford is dumping its cars. GM can pick up some sales from them. The Cruze is one of the best cars EVER from GM. This is coming from a guy that currently has a ’16 CTS, a ’17 Silverado, a 17 Camaro SS convertible and has purchased or leased 48 new vehicles over the years. I LOVE driving our Cruze while the others often sit in the garage. I’ve had the last gen Cruze too, and loved it, but the current one is superior in every way (okay I get it about the previous generation’s design)… The current generation has no noise or vibration, precise ride and handling , excellent placement and quality of all controls and excellent size and space. Its an absolute joy to whisp around town in. If I had to choose one car for survival, it’d be the Cruze. Its today’s Impala I believe. Bad idea. This will certainly give Toyota (Corolla) and Honda (Civic) a marketing edge. The Chevy Cruz could benefit from a better marketing strategy. Better marketing strategy and better powertrain offerings from GM. The second gen Cruze felt like a step backward, though it is not a bad vehicle. For just a little more, you can get so much more. Competition has always been fierce in this segment. If you can’t do it as well as the leaders, then focus on what you can do well. However, I do believe Chevy has way too many offerings. Simplify and focus on two-thirds of what you offer today. PS Bundle options into packages for efficiency. Never made sense as to why GM would invest heavily in two platforms that basically are the same car in terms of size, Cruze and Volt. What a complete waste. They should have made the Cruze as an electric option. You got gas, diesel and electric. Take your pick. 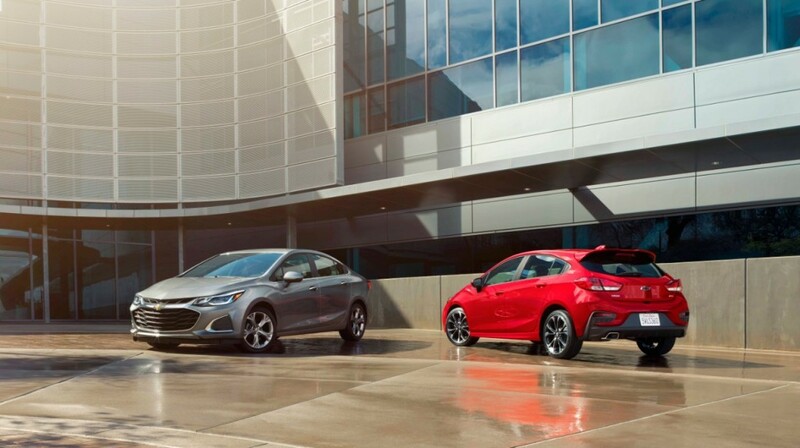 Build the Cruze and Volt on the same platform. Engineer the platform for double duty, it can be done. Cruze Volt and a possible two door FWD compact sport coupe sharing the same platform. Modular Engineering. It’s a fat chance but I think a 2-door Cruze with unique front/rear clips and a 2.5 NA / 2.0 turbo engines would be a nice return of the Beretta. How about one car with two drivetrain choices? Also add hatchback and SUV’s with the same option on the same platform. Bottom line, the Cruze should’ve had a bigger engine years ago. Yes the turbo is a big plus. Personally all the Honda’s are crap from a cosmetic perspective. Especially the rear end design. For starters the gaudy, ugly tail lights. Hideous. And look at the front ends of Toyota. The worst. The massive grilles should be a deal breaker for many. Bottom line, while many might be chronic complainers on the Cruze, it’s a damn sight better than most everyone is pumping out. By a mile. It should not die, but it there needs to be a coupe model, its dumb that there is not one. This is nice car for many single people hence the reason they need a coupe. I believe the cobalt coupe sold close to what the sedan did. Since more and more people are waiting to get married a coupe would be a good part of the market to be part of. This discussion could be a mute point if General Motors decides to replace both the Chevrolet Cruze and Volt with a single compact EV; further, imagine if the new compact EV is a CUV and will also replace the Trax. The Cruze used to be unique and good looking. The new me too like everybody else look was done in an awkward way and then they really messed up the features and standard equipment combos. It’s no wonder it’s not selling as good. Chevy has no one to blame but themselves here. So much for the EPA’s new 2019 28/28 MPG ratings. It seems like they aren’t even coming close to what these cars actually get for mileage in the real world yet somehow most Toyota and Honda models get far higher ratings in similar models. Cruise isn’t competitive, was but isn’t. Clearly needed to step it up with a hybrid, then PHEV, then BEV. Same with Volt, I like mine but am moving to an EV asap. Completely agree with the article. I’m totally indifferent about the Cruze but extremely pro-Volt. Ordered my third copy about a month ago. Not sure when I’ll see it but not in any hurry either. The 17 is a wonderful car with more e-range than we ever use. The Volts are well made, dependable and once you get past the purchase price, economical. The price has never slowed me down. My thinking is: if you see a car you like and can afford it – duh – buy it. I DRIVE A CHEVY VOLT AND I LOVE IT!!! COMFORT, QUIET, SMOOTH, AND GREAT MILAGE!! CAN’T GO WRONG AND DEFINITELY CAN’T COMPLAIN ABOUT ONE THING!! I want to purchase a new Cadillac PHEV that gets at least 50 miles on electric. Please GM and make it now. How about the new XT4.